Personalised Christmas Card & Drinks Coaster Gift. Special Wooden Gift. Ideal Unique Christmas Gift or Decoration/Ornament for Family. 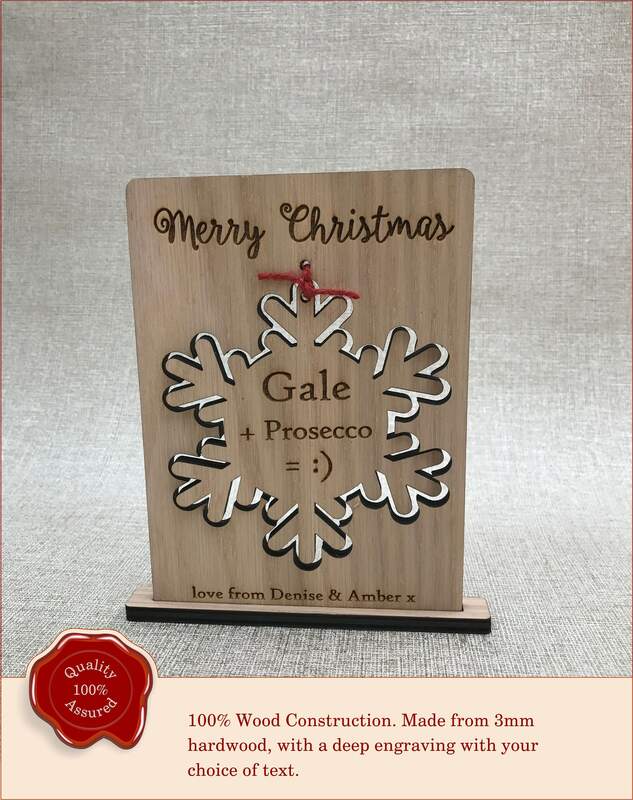 Personalised Christmas Card & Drinks Coaster Gift. Special Wooden Gift. Perfect for Friends, Family, Presecco Lover. Christmas Decoration. 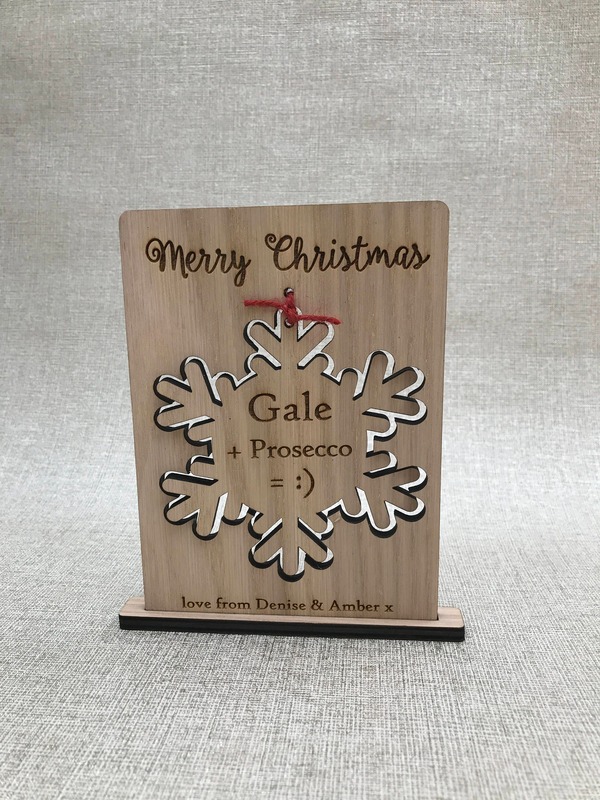 · Beautiful Wooden Oak Personalised Engraved Wooden Christmas Card & Coaster/Hanging Ornament Gift. 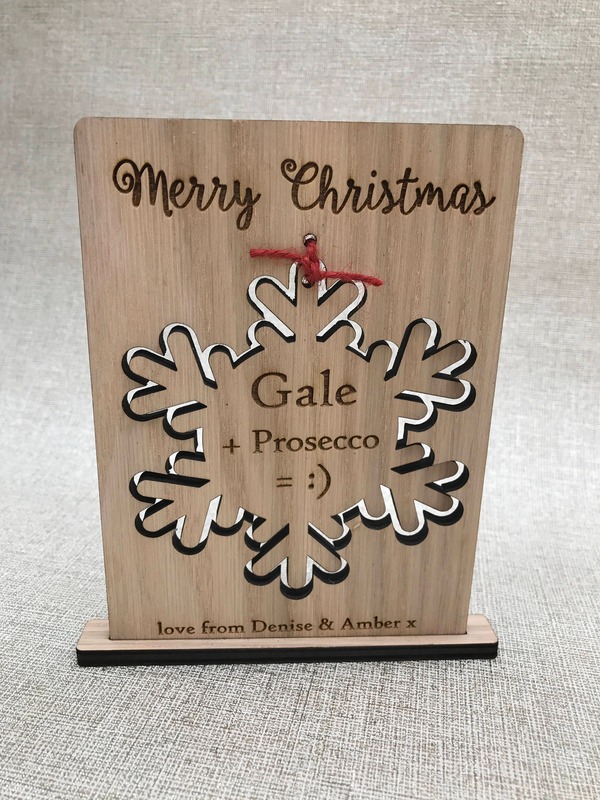 · Each piece is personalised with any text on card, and with any name on the Drinks/Coffee/Tea/Wine coaster/Hanging Ornament Gift. ✦ Family Name OR First Names - Please Type Exact Text You Require To Be Engraved, as we will copy and paste.